Strasbourg, a city symbol of culture, peace and tolerance. Often one step ahead of its time, it was the birthplace of the first printing machines, humanism, human rights and especially “Choucroute”. Juggled between Germany and France, it has always managed to keep its own identity and a mature, revolutionary spirit. After the 2nd World War, Strasbourg became the headquarters of many European institutions, including the famous European Parliament, creating the first union between Germany, France, Belgium, Luxembourg and the Netherlands. These institutions created the grounds for what is now called the European Union, which has since incorporated 22 additional countries. 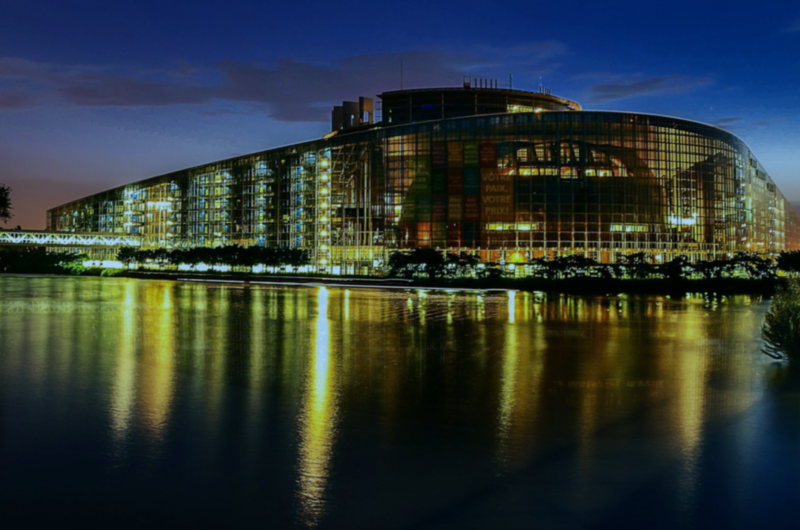 Strasbourg: hosts 12 plenary sessions a year where MEP’s debate and vote on legislations, budgets and plans of action on a European level. Brussels: hosts parliamentary committees, some additional plenary sessions and the meetings between political groups. City of Luxembourg: hosts the administrative translation services as well as the two European Justice Courts. 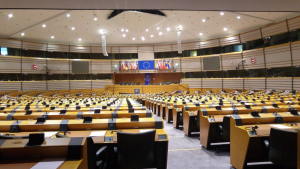 As a symbol of peace and cohesion among our peoples, the European Parliament has recently drawn attention to a controversy that has divided MEP’s into two camps for many years. 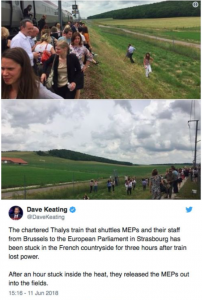 In early June, a breakdown of the Thalys immobilized MEPs travelling from Brussels to Strasbourg immobilized for 4 hours. 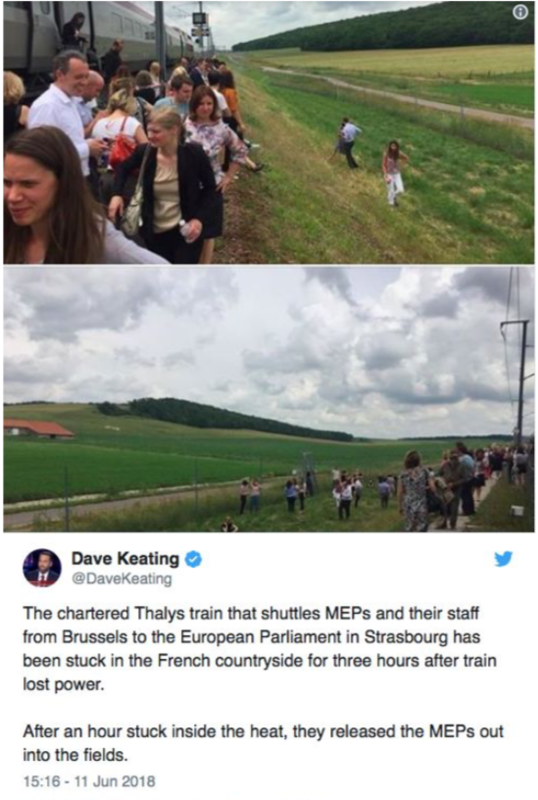 Stranded in the french countryside, this issue cost them a day of work and revived the old debate on why Strasbourg has to remain the seat of the European Parliament. A low blow to the Franco-German couple who normally agree and find a common ground on European issues. Both sides have been advancing valid arguments, and no compromise has been found. Pro-Brussels disapproves of the exuberant sum spent on transporting some 750 Euro-deputies between the two cities. An amount that they estimate between 100 and 200 million euros each year. The ecological impact of these trips is also not to be underestimated. Furthermore, the maintenance of Strasbourg’s European infrastructures amounts to more or less 30 million euros per year, not counting the full reconstruction of certain buildings. This budget will be all the more difficult to justify now that the UK is withdrawing from the EU. Another downside is that more and more MEPs are no longer moving to plenary sessions because of the distance and the loss of time in the transport. Strangely enough, there are still no direct flights between Strasbourg and Brussels, forcing those who want to fly to make a layover in Lyon, often constraining them to unsuitable departure times. On the other hand, Pro-Strasbourg MEPs refute the figures put forward by their colleagues and consider them exaggerated, especially now that a direct Strasbourg Brussel TGV line is operational. Their major arguments are based on the fact that Strasbourg remains an extremely important symbol for the European Union, marking the Franco-German reconciliation and the foundation of a reconstructed and the unified Europe. Another argument is that the European elections are approaching fast and there are many more pressing matters. It must be remembered that in order to be able to change the status of Strasbourg as the seat of the European Parliament, the decision would have to be unanimously accepted by the Member States and the 70 year old treaties would have to be changed; A long and painful process which will last several months at least. The air taxi as a solution? The question arises whether a compromise between the two groups could be found. Fly Aeolus could help solve the transport problems by using its fleet of air taxis: a more efficient, enjoyable, and affordable way to make the round trip Brussels – Strasbourg. This would not only save them from the delays caused by breakdowns and strikes but also allow them to make the round trip in a day if necessary.